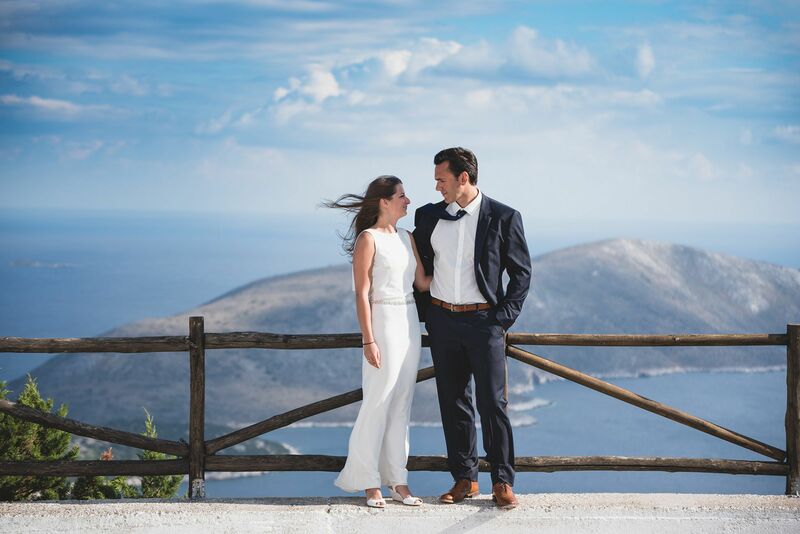 A magnificent wedding on Skyros Island was held in the 15th of July this summer. 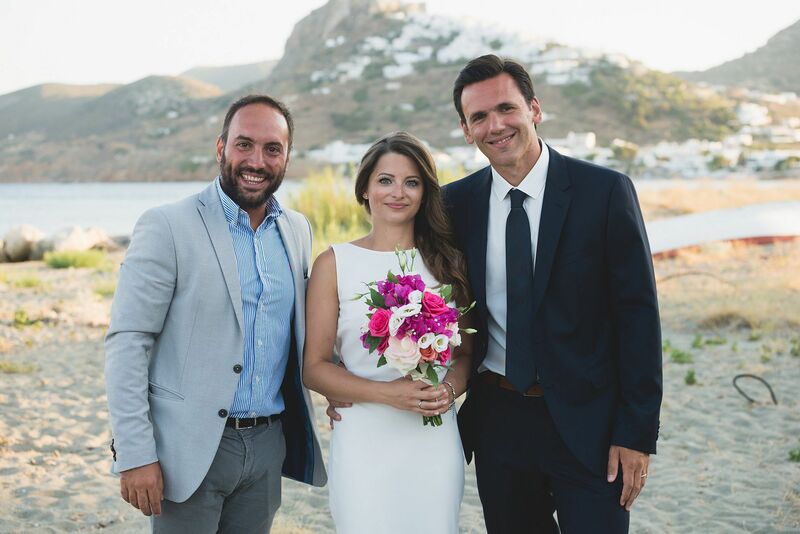 Yannis from Greece got married with the beautiful German Steffi. 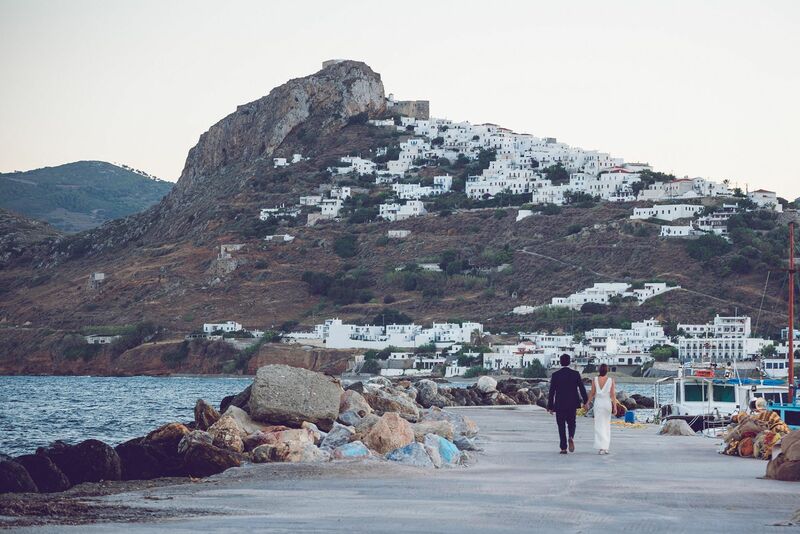 The couple decided to have an endless wedding party enjoying the beauties of a greek island. 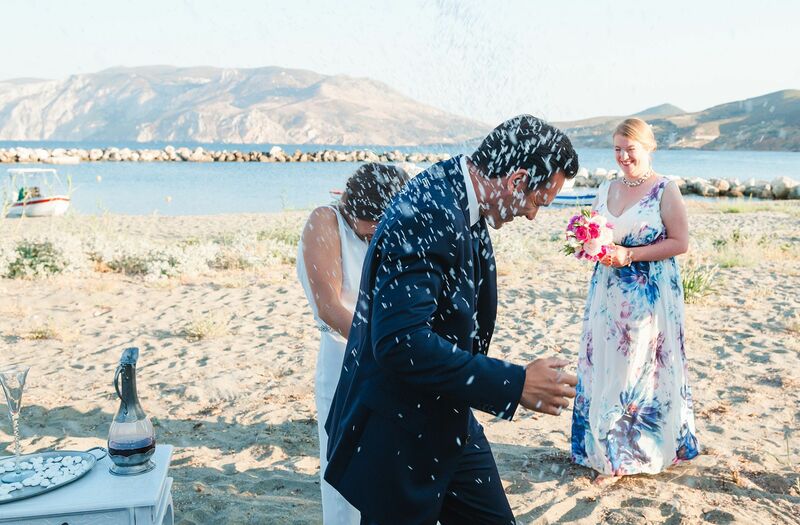 The couple began to welcome their guests a day before the ceremony with a very beautiful pre-party with live music combining both Greek and foreign repertoire at Beach Bar Ammoudia with great dishes and traditional Greek flavors . 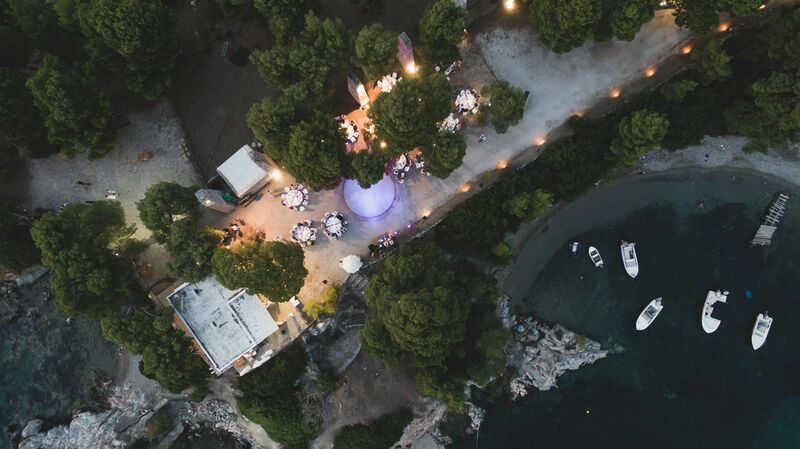 The evening was enchanting and special for all the guests who travelled from Germany and from some parts of Greece to the beautiful island of Skyros. 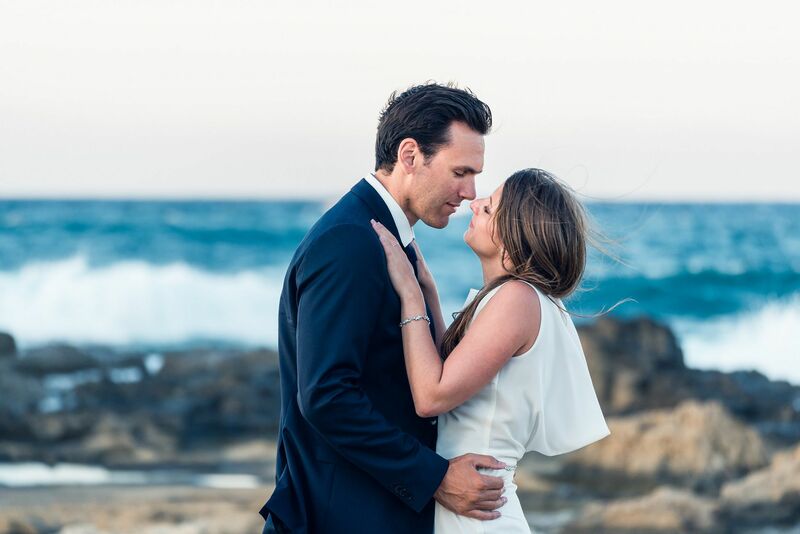 The melodies under the starry sky relaxed both the couple and the guests, filling them with energy and good mood for the next day. 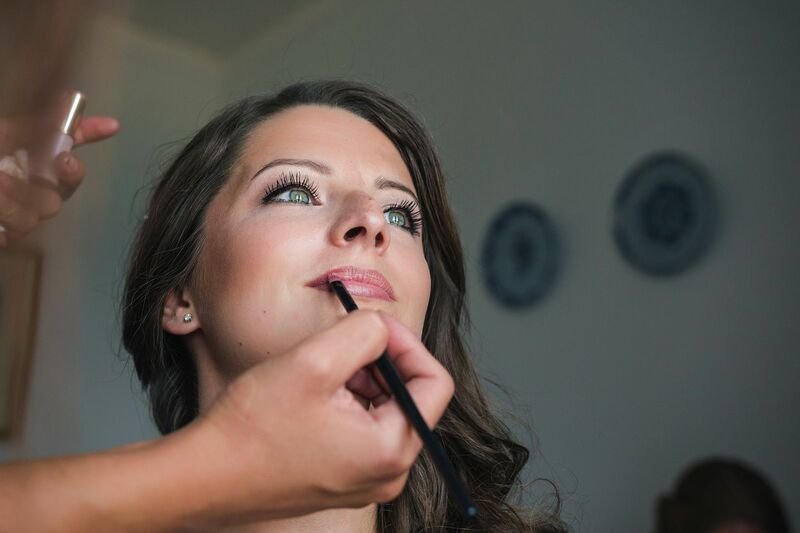 The wedding day had arrived and everything was ready early on by the excellent team of WILL YOU - Exquisite Events. 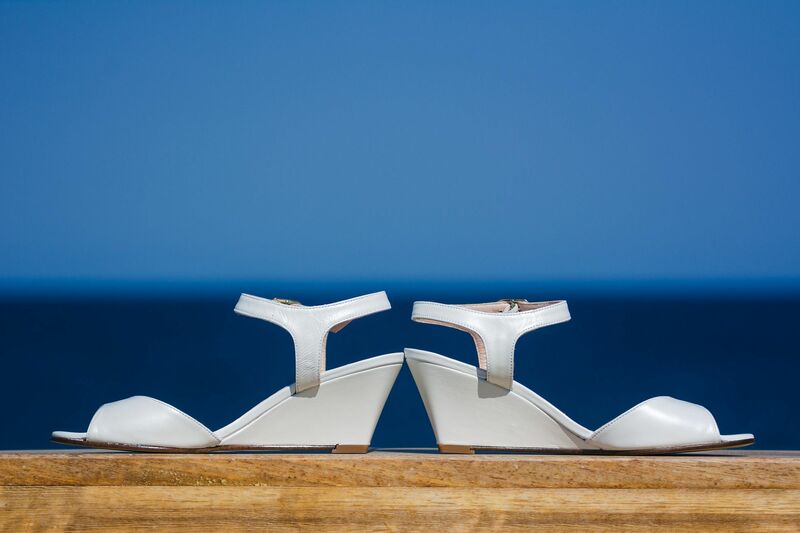 The bride was prepared at the Hydroussa Hotel with the help of her friends and relatives. 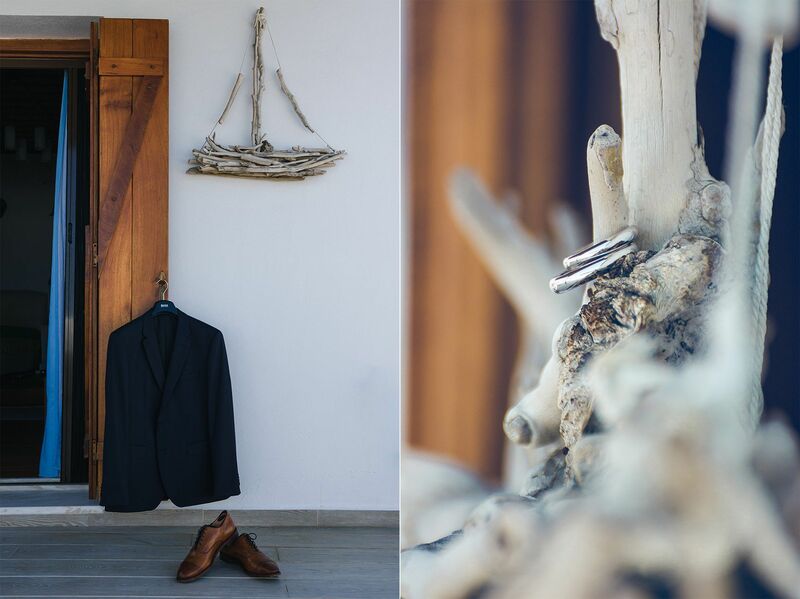 On the other hand, the groom got dressed in his father's house in Molos. 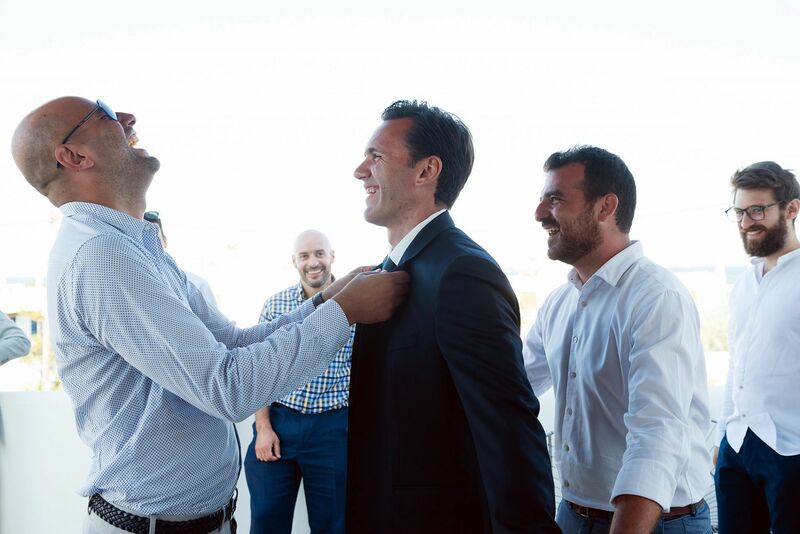 The groom's friends did their best to loosen the groom and start the fun early. 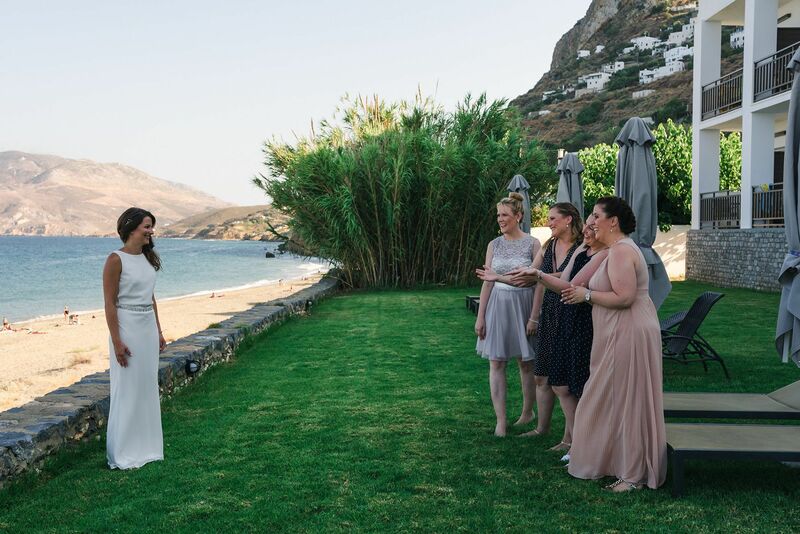 The bride arrived at the groom's house and from there they headed to the beach at Milos of Balambani, where the ceremony took place with the presence of the island's mayor Mr. Miltos Hatziyannakis. 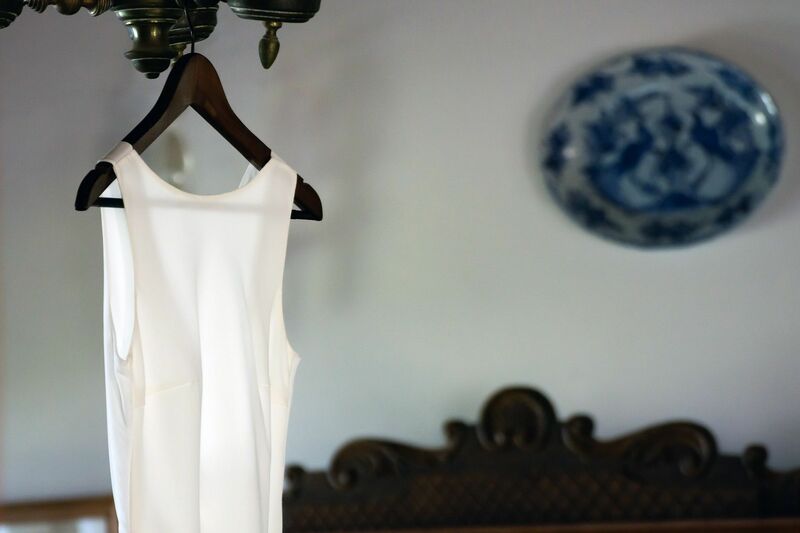 The minimal adornment from the WILL YOU - Exquisite Events team showed even more the beauty of the landscape that was adored by the guests waiting for the couple to arrive. 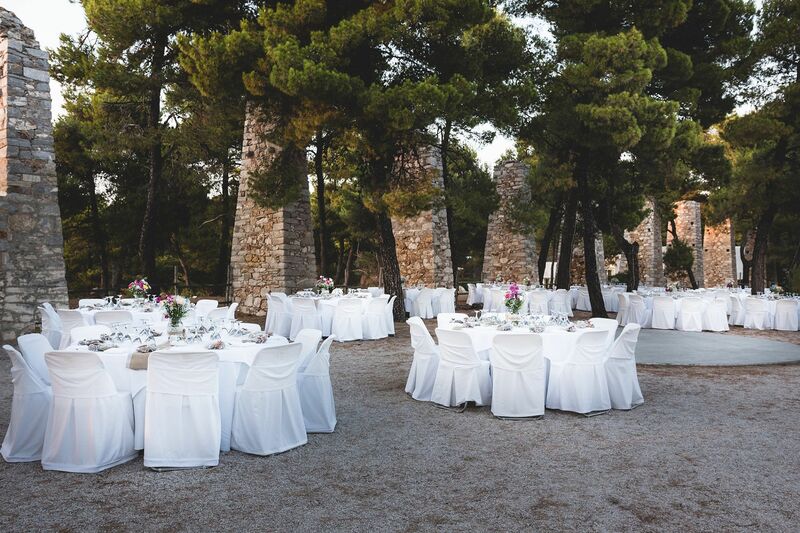 The wedding reception took place in the green and fabulous northern part of the island, in Ktima Atsitsa. 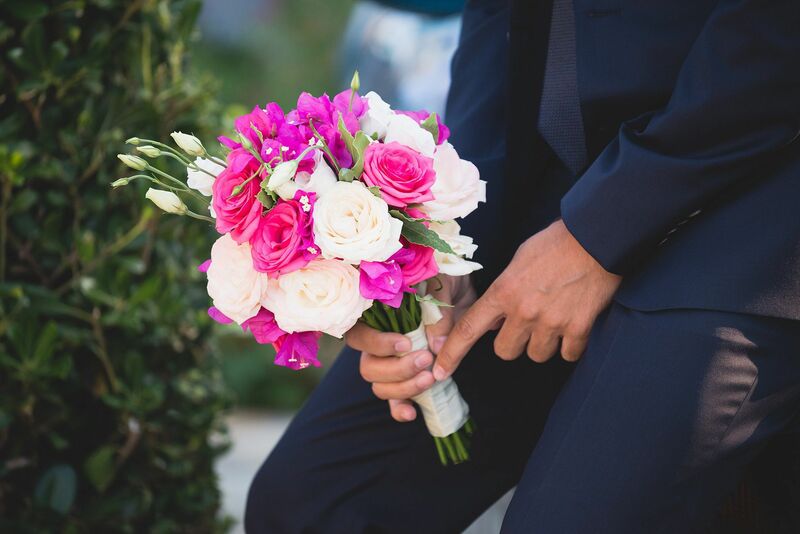 The decoration was simple and exquisite of the WILL YOU - Exquisite Events team. 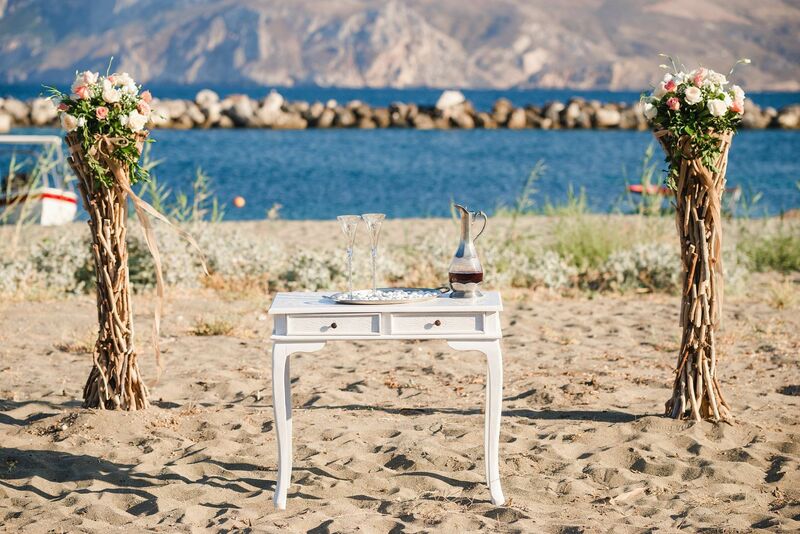 The guests and the couple arrived early in the reception area in order to enjoy the wonderful sunset. 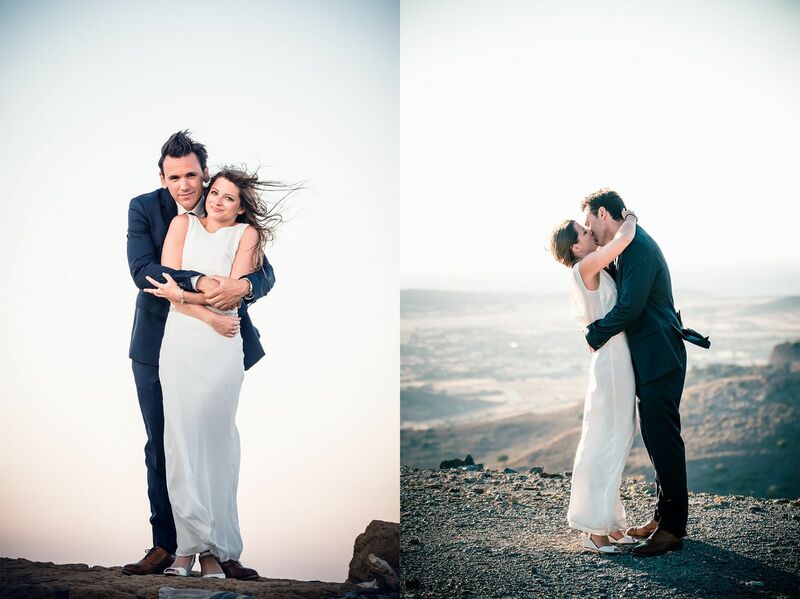 The couple took photos with relatives and friends having the marvellous sunset for background. 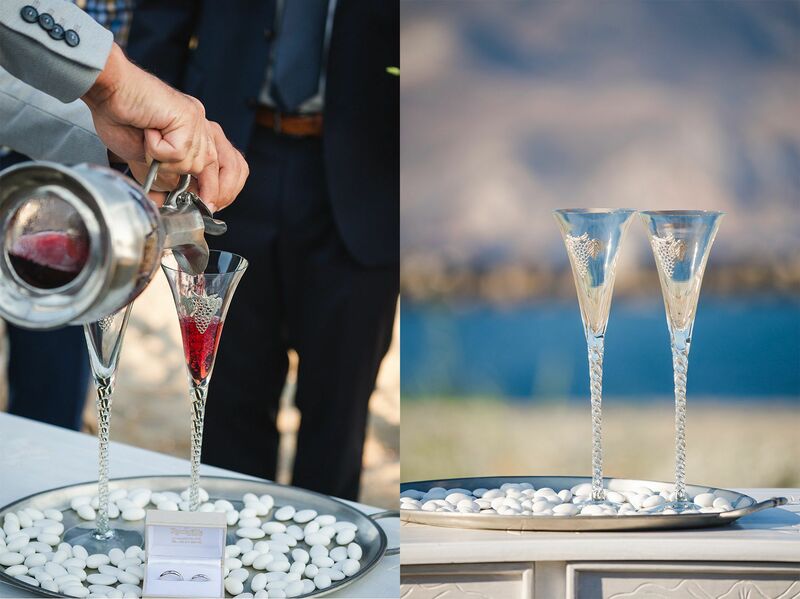 The guests were welcomed by Catering Pappous with a refreshing welcome drink and a delicacy to accompany it. 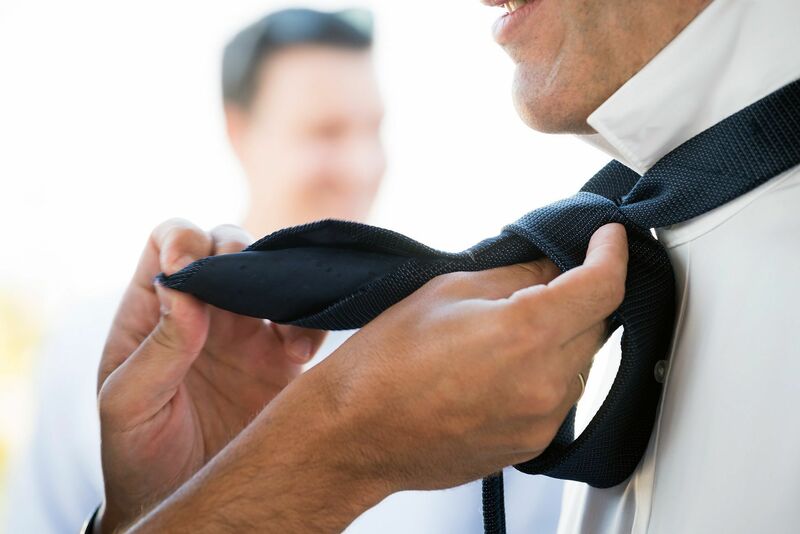 Both Greek and German guests were thrilled by the unique tastes prepared by the experienced staff of Catering Pappous who once again excited everyone with the quality and delicacy. 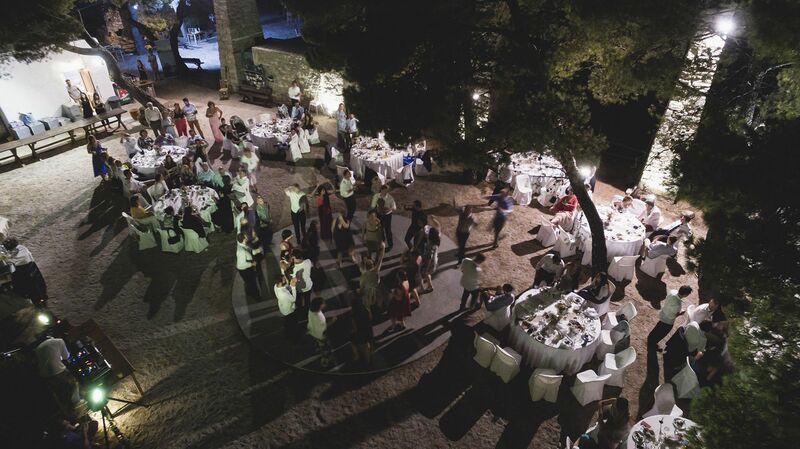 Unique dishes and traditional delicacies got everyone satisfied. 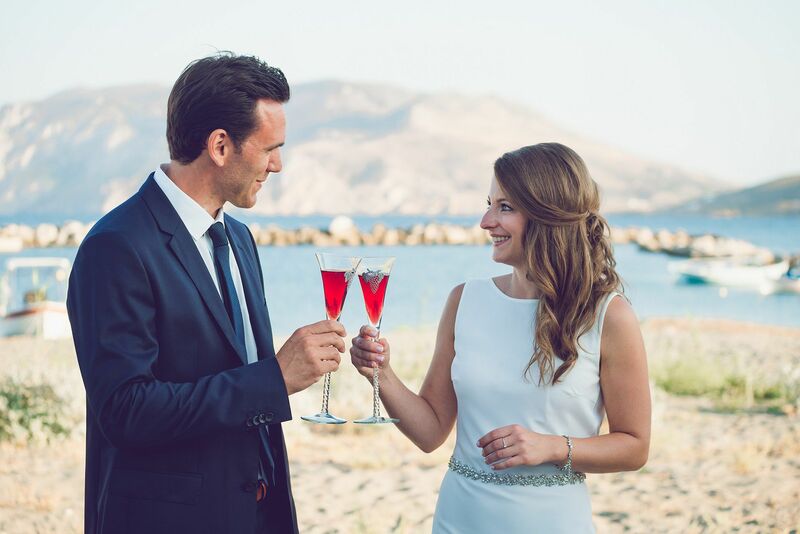 After the wedding dinner ther was an open bar by Akamatra Cafe Bar that refreshed the guests with summer cocktails. 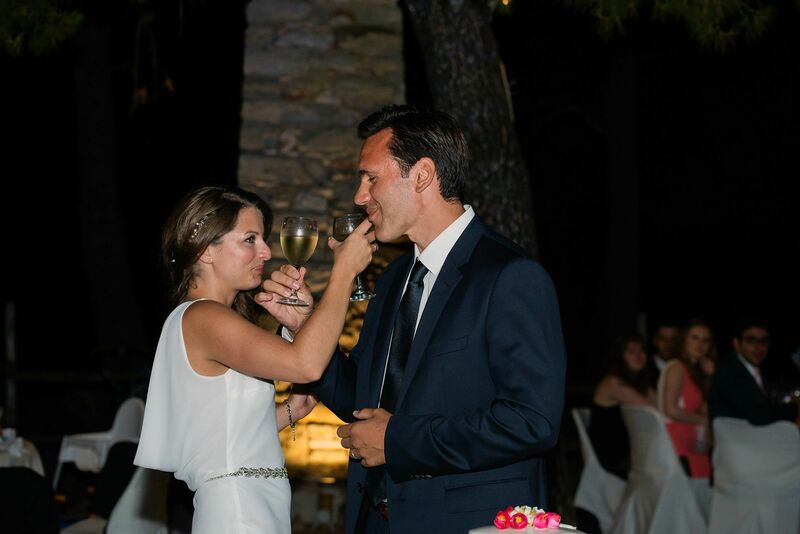 The couple cut the wedding cake that was made from the Chiotis Patisserie and after the first dance of the couple, the excellent Dj Elias Alexiou kicked off for a party without stopping. 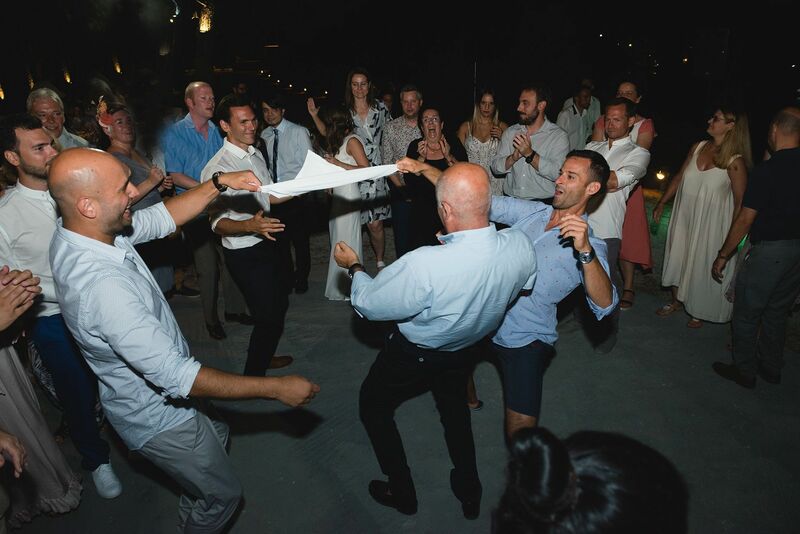 Music selectiuon was such a blast that the party lasted until the early hours. 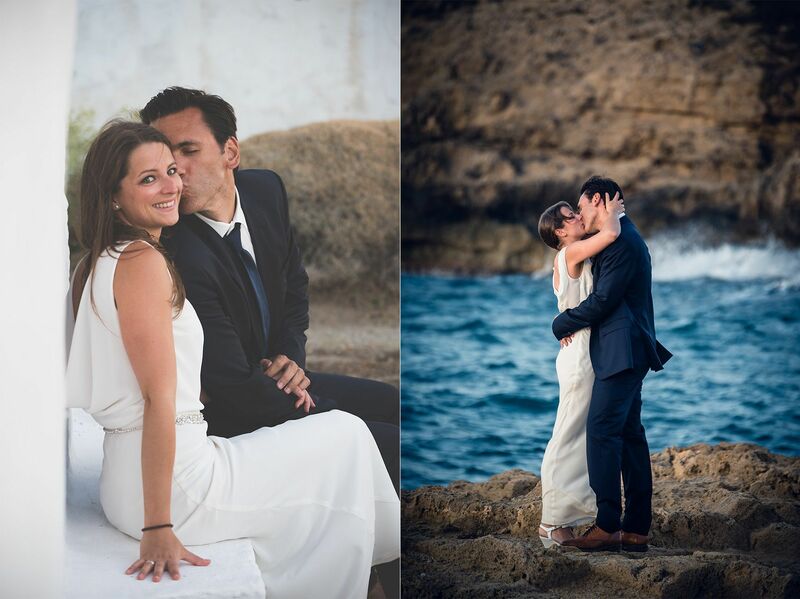 Last but not least that we did with the beautiful and so gentle couple was the next day's artistic photo shoot. 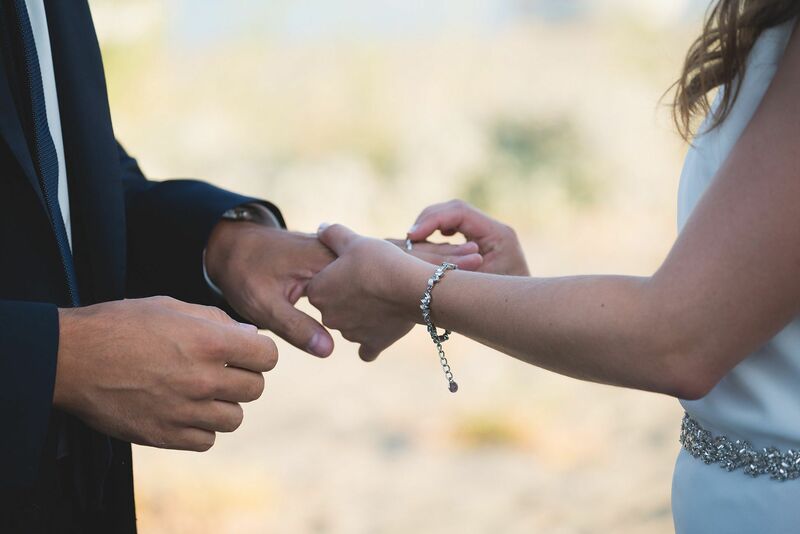 The couple, after the amazing party and their wedding, enjoyed the photo session to the most. We had a tour of the island starting from the northern part till the the eastern side. 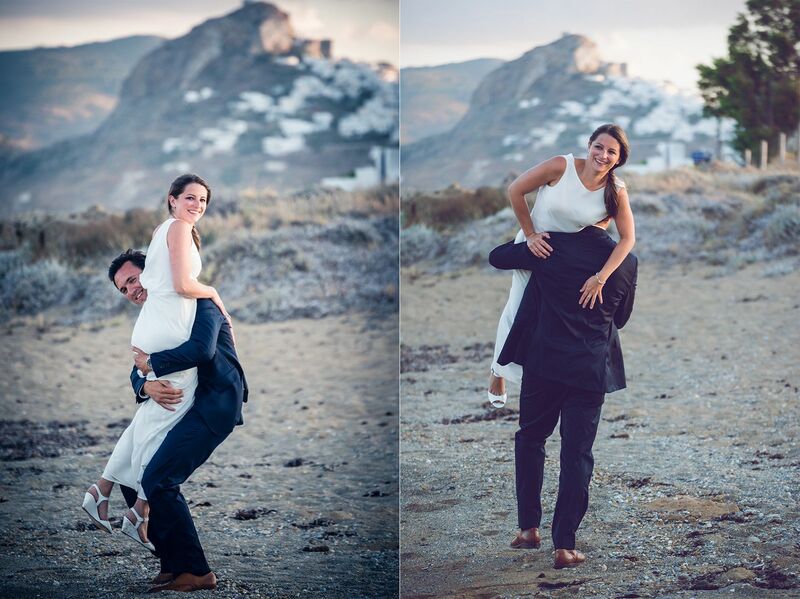 We ran, laughed, we gave ouzo to our German beautiful bride and the groom like a modern ''Paris'' ''stole'' The beautifl ''Helen'' by lifting her on his shoulders as if he wanted to hide her in the castle of King Lykomedes and live their love. 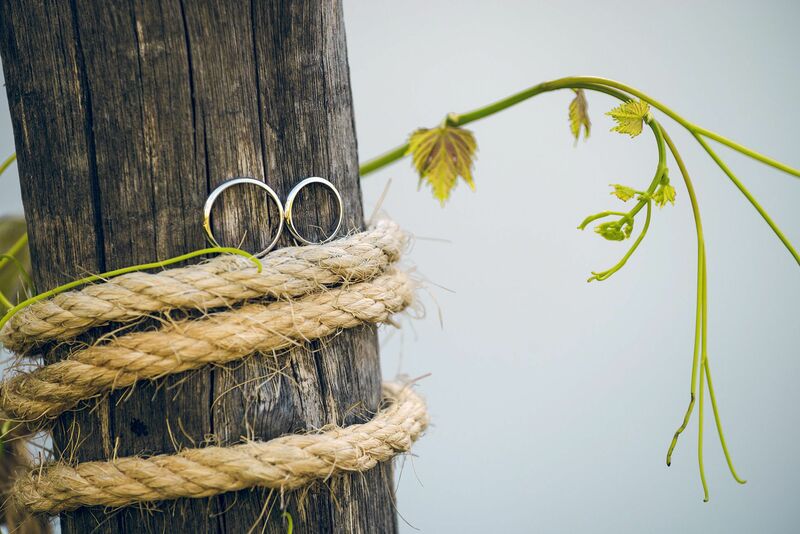 Yannis and Steffi may all your life be full of happiness.